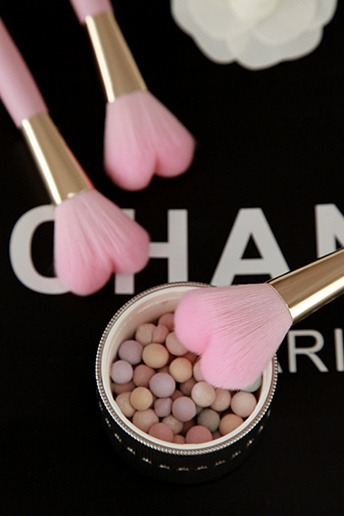 Indian Vanity Case: Heart-Shaped Makeup Brushes, Anyone? Hope you all had a good weekend. 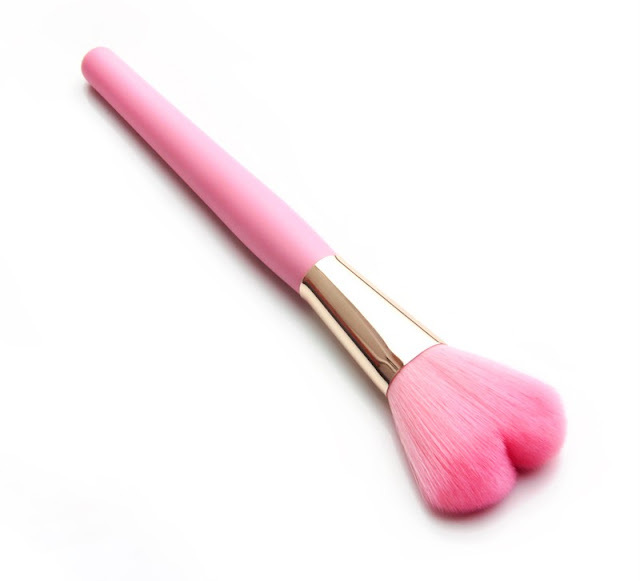 I watched a romantic movie 'Like Crazy' & a thriller psycho movie 'No One Lives', cooked black bean sauce, did some online shopping, etc etc.... and I stumbled upon these heart-shaped brushes. Oh-my-heart, I'm smitten and can't stop looking at them! I think I want to get some. Or maybe I could DIY? Let's see, which brush do I hate? 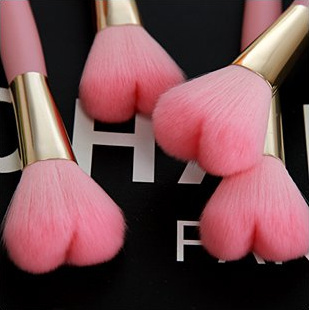 Nah, ♥ shape will only look good on pink bristles, so I have to get pink brushes first. Oh no, not the one on the header! They are so cute!! When I saw the pic I thought I could do a DIY too but its kind of risky! These are absolutely adorable. Not a necessity but super cute!